Tim Armstrong, chief executive of AOL, has strongly denied reports there are plans to spin-off the Huffington Post following the group's sale to telecoms giant, Verizon. AOL has always said Huffington Post’s global reach is key to its strategy, having evolved from a US-only site in 2011 to operating in 13 markets today. Following news of AOL’s sale to Verizon, tech news site Re/code claimed AOL has been in talks to spin off HuffPost, most notably with German media owner, Axel Springer. In an interview with HuffPost Live, Armstrong said: "Let me be clear about it. My job as CEO is to basically make sure we build the strongest company we possibly can. 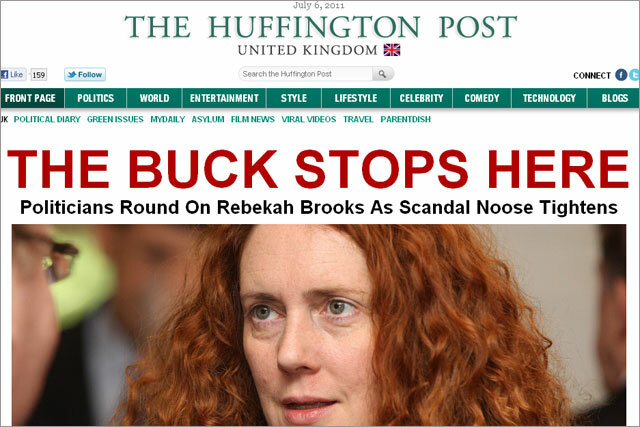 Huffington Post, I think, will always be a cornerstone of AOL. He added: "I would say AOL's always going to be an owner of HuffPost, and now Verizon will be an owner of HuffPost." Underlining the group’s commitment to the HuffPost, the chief executive went on to stress he will do "whatever it takes to get The Huffington Post to grow", and maintained the plan is still to make it "the largest single media brand in the world". However, in a comment that might explain the Axel Springer rumour Armstrong did not rule out the possibility of striking various partnerships with other people "who can help us get there'. The global site currently has commercial partnerships with a number of traditional publishing houses, including Groupe Le Monde in France, Japan’s Asahi Shimbun Company, Prisa (which publishes El País) in Spain and Brazil’s Abril. For many analysts, Verizon's decision to buy AOL has more to do with its advertising technology, which has helped the company forge strong programmatic credentials, as opposed to any of its content brands. AOL shares are up more than 18 per cent following news that the company is being acquired by Verizon for $4.4 billion.